Satire, according to Jonathan Swift, is a mirror where beholders generally discover everybody's face but their own. and over twenty-four centuries the mirror of satirical literature has taken on many shapes. Yet certain techniques recur continually, certain themes are timeless, and some targets are perennial. 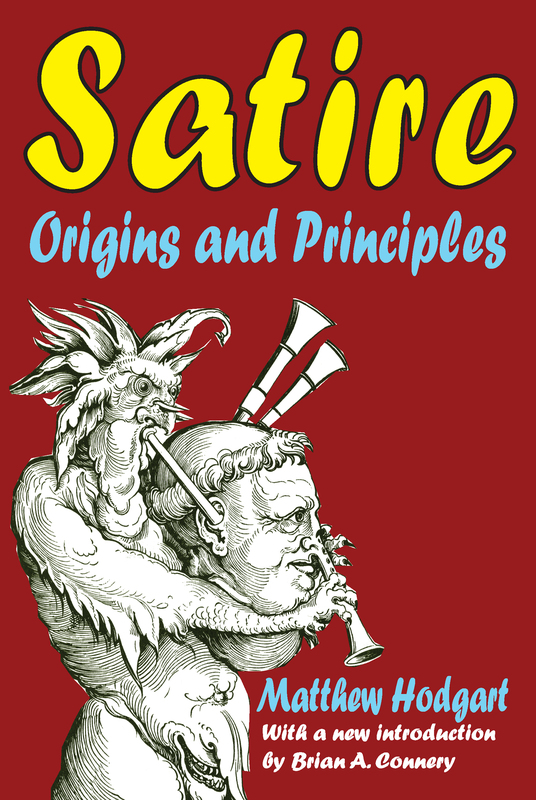 Politics (the mismanagement of men by other men) has always been a target of satire, as has the war between sexes.The universality of satire as a mode and creative impulse is demonstrated by the cross-cultural development of lampoon and travesty. Its deep roots and variety are shown by the persistence of allegory, fable, aphorism, and other literary subgenres. Hodgart analyzes satire at some of its most exuberant moments in Western literature, from Aristophanes to Brecht. His analysis is supplemented by a selection and discussion of prints and cartoons.Satire continues to help us make sense of the conventions that seem to have been almost genetically transmitted from their satiric ancestors to our digital contemporaries. This is especially evident in Hodgart's repeated references to satire's predilection for the ephemeral, for camouflaging itself among the everyday, for speaking to the moment, and thus for integrating itself as deeply as possible into society. Brian Connery's new introduction places Hodgart's analysis in its proper place in the development of twentieth-century criticism.